Up until this month I had never set foot in North or South Dakota, but now I am happy to say that I visited both. From Michigan we made a quick stop in Duluth to restock our supplies, then headed east towards Fargo. We found the town surprisingly charming, and I found a new pair of trail runners at a store there. I’d foolishly tried another brand, and my toes paid the price- back to Saucony’s for me! From there we made the long drive across the plains of North Dakota, ultimately ending up at Theodore Roosevelt National Park. 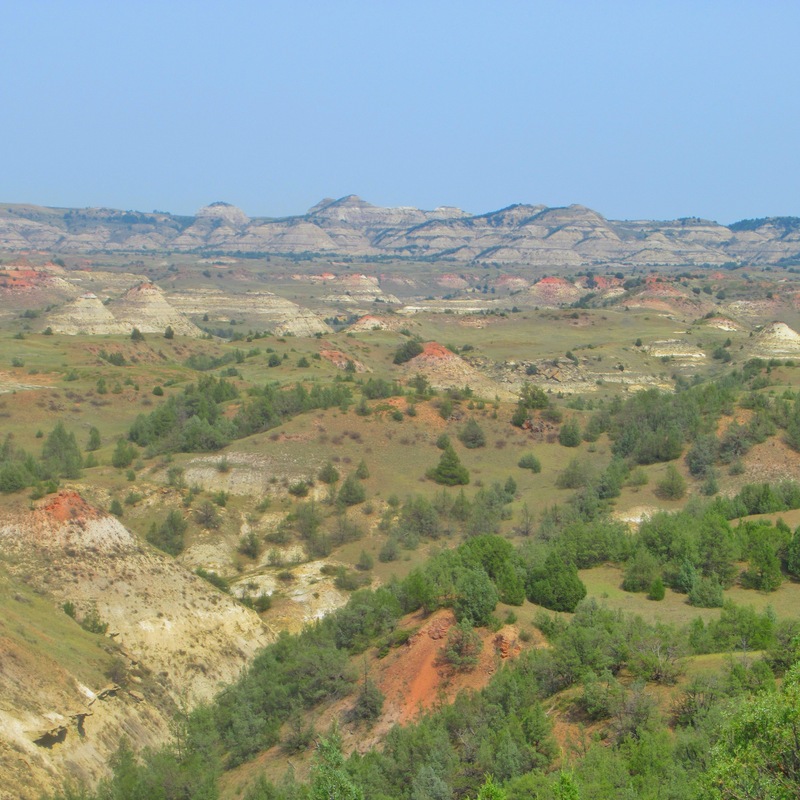 The park is a mix of prairie and badlands, and is the only national park named for a president. Along with John Muir, Roosevelt was an advocate for the creation of the National Park System. The park in his name was created on lands that he retreated to as a younger man, escaping the city after the deaths of his wife during childbirth and his mother from tuberculosis on the same tragic evening. Despite his grief, he credits this time in North Dakota for being essential to his future presidency. Upon entering the park I was excited to learn that it is prime prairie dog habitat. I’ve never seen one, and hoped I’d get the chance. Turns out it’s hard not to see a prairie dog in the park, within an hour I had seen hundreds of them above their “towns,” as their networks of underground burrows are referred to. They are adorable, and it is easy to forget the fact that they carry the plague. 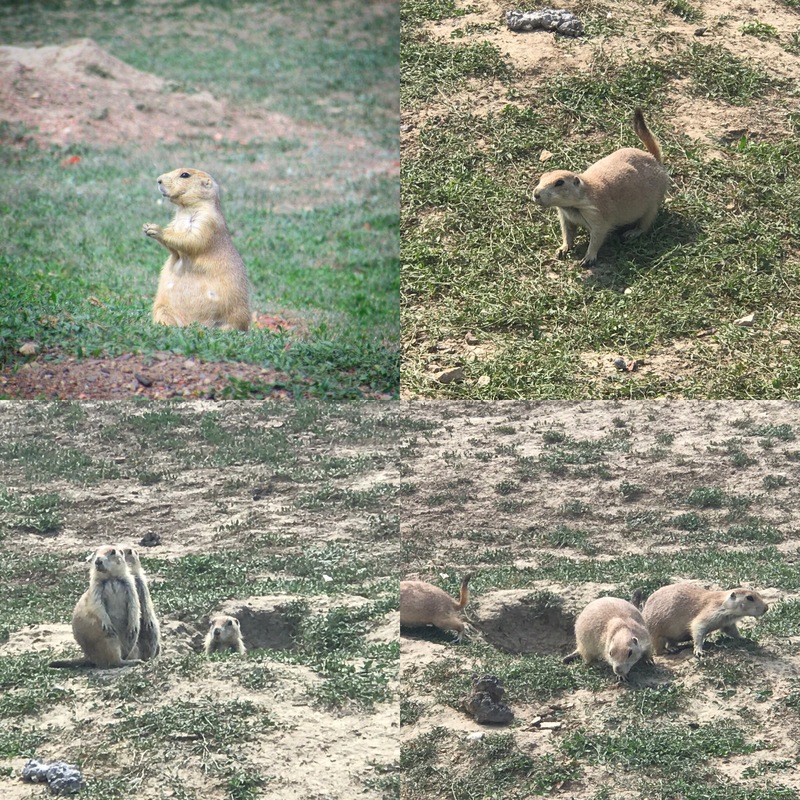 We took plenty of time to watch the prairie dogs from a distance, and listened to their “eeps!” trumpeting off across the prairie. They were by far my favorite part of the park, but we also saw bison and wild horses. We headed south, and aimed to camp in the Black Hills National Forest. We were worried about finding a site, being it was Labor Day weekend, but we scored the last spot at Pactola Reservoir. We set up our camp, then headed out to explore the area by car. First stop was the Crazy Horse Monument, which when finished will be many times larger than Mt. 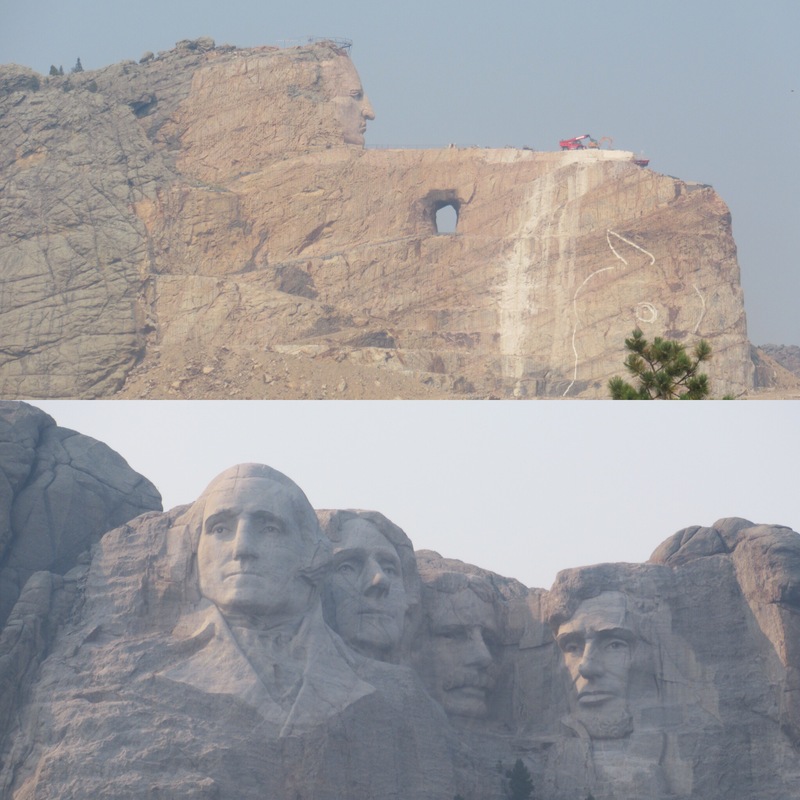 Rushmore; with all of the presidents heads being able to fit into the face of Crazy Horse. The Lakota Nation commissioned it in the 40s, and it is being built solely by the donations of visitors. Right now just his head is defined, but it will eventually depict Crazy Horse riding his horse and pointing into the distance. 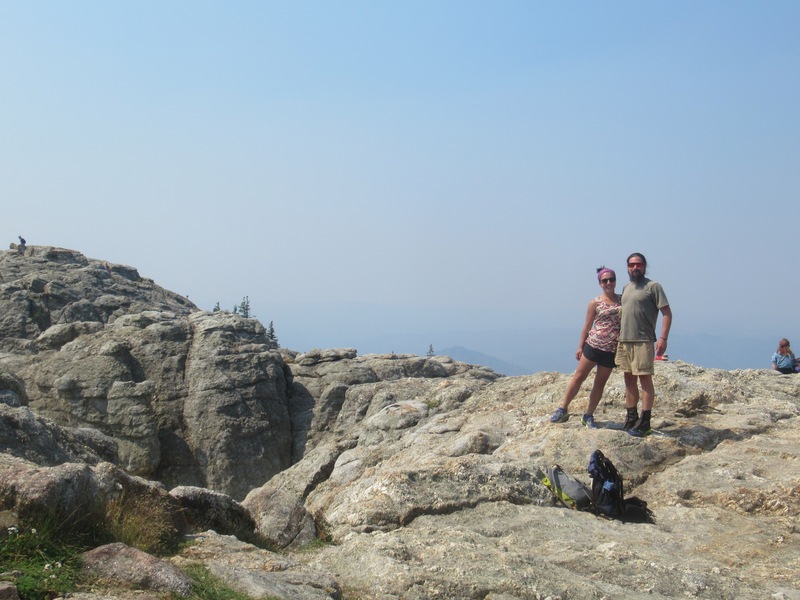 The next day we hiked Black Elk Peak, the tallest in the state at 7,244 feet. Again, the views were muted by the smoke, but the hike was a fun way to spend the day. If you haven’t caught on by now, we like to hike! Afterwards we went swimming in one of the nearby lakes. We easily could have spent another few days exploring the area; however, without being able to view the craggy mountains and spires of the area, we felt like we were missing out. We’ll be back again someday, until then it’s on to Wyoming! ND and SD are on our list. I’m looking forward to taking our kids to see Rushmore. You’re going to love Wyoming. If you get the chance visit the Snowy Range Mountains in Medicine Bow National Forest. It is a hidden treasure and one of the most beautiful places I’ve ever been. Love seeing you wonderful pics! What a terrific experience. Try Under Armour shoes… haha! We had a few wild horses wander through the morning we left! A special place, for sure. Wow, looks like your entire trip has been amazing. Thanks for sharing!